Gaijin Entertainment is the creator of War Thunder, and from their development team comes Crossout. Basically, this game retains the thrill and combat in the previous title, but the wars are fought in a different setting and they use different technology. 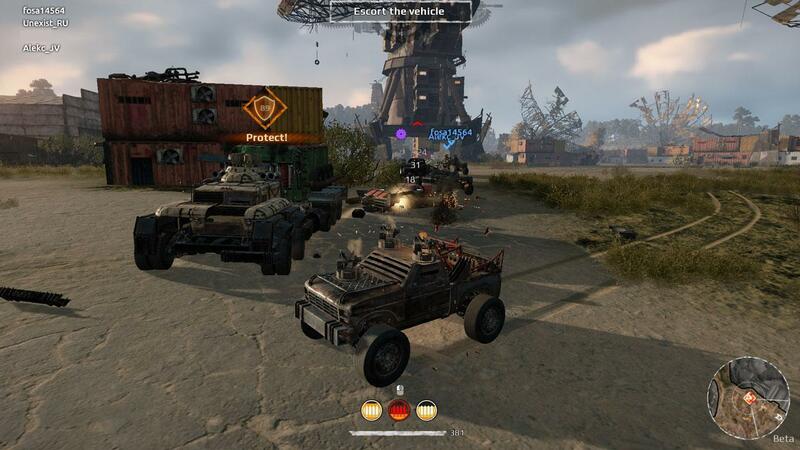 Crossout is quite similar to Mad Max - you upgrade your vehicle, add weapons to it, and be creative in your fighting style. It’s an exciting new game, and will definitely remind you of the early Twisted Metal days. So, should you be playing it? One of the things that stand out in Crossout is the setting. 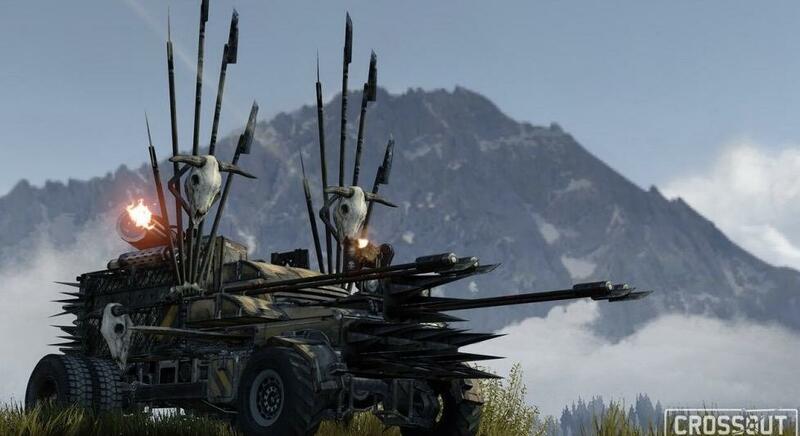 Again, it’s like Mad Max, but with rather futuristic elements. Apart from the usual weapons, there are additions like stealth generators and even flying drones. You start out in Crossout as a level one driver with a weak vehicle in a dog-eat-dog world. There are a variety of maps - or battlefields - you can fight in against other players. From abandoned factories and deserts, they clearly show the post-apocalyptic qualities of the world. The main meat of Crossout are the fights. The matchmaking lets you mix up with other players in 8v8 battles, and if there aren’t enough, bots will take to the field with you. The goal of these battles is simple: destroy all of the opposing team’s units. This is a far cry from War Thunder, which prefers a slow and strategic approach to winning. Here, you can just rush to the center of the map and go get into the thick of the fights with guns blazing. You can blow off the modules of your opponents, directly affecting their combat capabilities. Just remember though, they can do the same to you! Unfortunately, the matchmaking still needs a lot of work. I played both the Playstation 4 and the PC, and both versions face the same set of issues. You can be matched with any opponent regardless of the ping and Internet speed, leading to laggy and unenjoyable battles. Moreover, the human-only fights aren’t unlocked until your account reaches level 10, so a fair bit of slow, unforgiving grinding is needed before you can get to the good part. There are a variety of weapons and modules that you can use to turn your killing machine into something that can pack a greater deal of damage. Unfortunately, the mechanics involved are unrefined, unlike the easy and intuitive upgrading system of games like War Thunder and World of Tanks. Moreover, your upgrade options are extremely limited. You need to finish battles to earn new parts, and at times, you can’t even use them because of having an insufficient level. In the early part of the game, you’ll easily receive loot and other parts, but it gets progressively harder to unlock more modules and weapon parts as your level increases. This is where microtransactions come in: you’ll be lured into purchasing freemium currency. There are bundles for stronger killing machines, but you can always go for the slow grind instead of instant - and expensive - gratification. 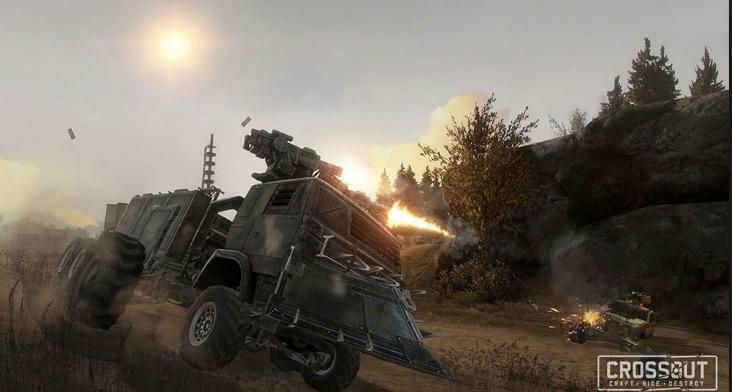 Overall, Crossout can make you relive your Twisted Metal days and enjoy the same elements and gameplay formula as War Thunder. However, the game is a slow grind, much like War Thunder and World of Tanks. Its matchmaking and freemium elements may have some flaws, but it’s still a decent game, and something you definitely would want to try out.